I woke up about 6:30am, so I had around 5 hours of sleep. I was having some weird dreams about vampires or demons...something like that. Too much TV watching! :) I tried to go back to sleep later, but it didn't work. My allergies were really bad, and my ears were plugged up. I took some Sudafed, which helped a lot. I tidied up the kitchen and did work most of the evening. We went for a walk around the neighborhood, too. I was too tired to do the longer walk at the SAU trail. I went to bed super early, before 10. I was trying to help my SIL set up her email on her new phone...we're still working on that. I can hardly wait until we leave on Thursday! I need a vacation. I woke up around 6:30 this morning. Linda is picking me up about 9:40 to go to the podiatrist. Apparently it's in the same office building as my new doctor, so that's good. I have to leave the paperwork there (to be a new patient). We'll stop by the pharmacy after that and then maybe drive through somewhere for lunch. 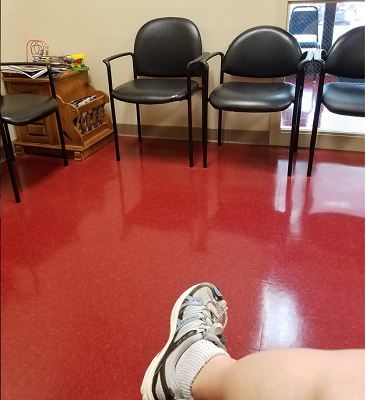 The podiatrist seemed nice. He just measured my feet for new inserts for my shoes. Linda is sick, poor thing. I hope she's better soon. She didn't sound good. The pharmacy got all my prescriptions ready, which was great. Unfortunately, I had forgotten one of them, so I'll have to get David to pick that one up tomorrow. I picked up Sonic for lunch. Not great for my diet, but at least I only ate 4 of the tater tots and saved the rest for David. I've been doing work, but I'm thinking of going back to bed... I tried to nap, but it didn't work. I'm tired, but not sleepy enough, I guess. I just have no energy for anything, but I didn't feel like reading, watching TV or working. SIGH. I wanted to sing, but that takes a lot of energy, and besides, my throat has kind of been bothering me. I hope I'm not coming down with a cold! Later, I made more sugar free Jello and ice cream. I tried to go back to sleep, and I slept for about a half hour. Then the doorbell ring, waking me up. So I never really got a nap. Later on in the evening, I went to bed about 12, but it was too hot to sleep. I put the a/c on and stayed up for about another hour, then turned off the A/C and went to bed. Then I woke up about a half hour later and got up to use the restroom. After I laid back down, suddenly my back was hurting really bad. It was very painful. I don't know what I did to it! So I took some pain pills and tried to get back to sleep, which I did, eventually. I woke up around 6:30am. I stayed up for a long while, working, but then I went back to sleep and slept until the evening. I've been concerned about my blood sugar, which is still staying up above 200 (and sometimes above 300). I tried to see if I could make an appointment with my regular doctor for tomorrow, but they had no openings, so we're going to go to the urgent care tomorrow. Hopefully a doctor there can help me figure it out. Mostly this week, when I'm not working, I'm planning our trip or packing. Looks like we're going to have dinner with my SIL and her husband in Vegas after we get there (unless we're not too hungry), and then we're going to go out to karaoke. We might do the same on Tuesday and then also see my friend Jill! I went to bed around 3:30am and slept about two hours, but it wasn't very good sleep. I woke up around 5:40am. I went in with David to SAU about 6:30. I walked over to Reynolds. The campus is pretty deserted during the summer. Most of their classes are online then. This early in the morning, there was no one. It was very pretty out, though, and humid. I was surprised that not only was Reynolds open, but their cafeteria was, too. During the year, I ate there sometimes, paying by credit card. There was no cashier there. I saw some people working there and asked them if they were open. The older man said they were, and to just leave my name on the list when I leave. I was half asleep and not really thinking what that meant. They have far fewer food options in the summer. 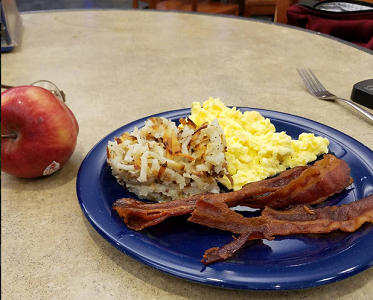 I just had scrambled eggs, bacon, a few hash browns, and half of an apple. I only ate a few bites of the hash browns, since they're definitely not on my diet! I went back to David's office around 7:40 and he gave me a ride over to Southern Medical Group, which has Urgent Care. I didn't have to wait too long. I just had a few forms to fill out. 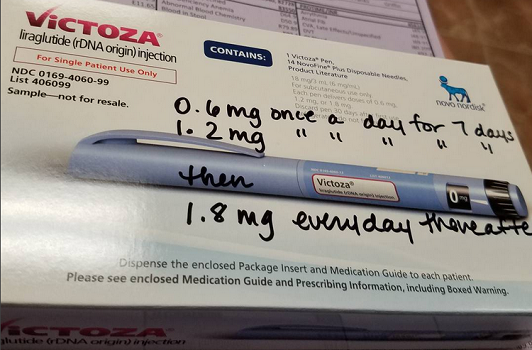 After I got the doctor, I didn't have to say too much because I had printed up in brief what my medical problem and history was, along with a list of my medications and my blood sugar numbers for the past two weeks. I always seem to forget something when I go to the doctor, so that's why I wrote it down. She advised me to take a new drug called Victoza. You inject it, so I was reluctant to take it. However, they have these amazing little injector devices now. They don't even hurt. It's a tiny needle and you poke it near your belly button. I didn't even feel it. I just have to do it once a day. I also had to give blood at the lab, so they can test my kidneys, etc. It started pouring rain while I waited for David to pick me up again. I went home and finished packing, mostly. I was very tired. I had a little bit of food and then slept for 3 hours. The alarm woke me up, and I was very groggy. I did more packing and getting ready. I had an interview at 4, and it lasted about 25 minutes. Then I got dressed and got everything else ready. 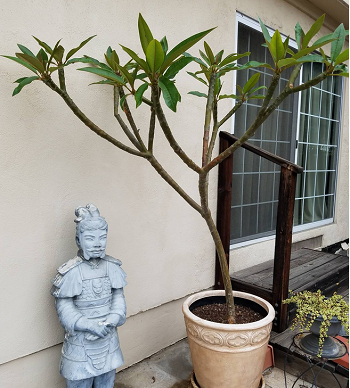 I had been worried about what to do with my plants while we're gone. I put some of them outside in the backyard. Hopefully they will get just the right amount of water and not too much. David came home around 5:45pm. We loaded up the car and left. The interview had woken me up a bit. We got to the Wyndham Garden Hotel about 7 in Texarkana and checked in. Then we walked across to Hooter's (the only place to eat around here). I had their naked chicken wings. The waitress was very nice, but it was freezing in there. Too much A/C. I'm not staying up too late because I'm exhausted. 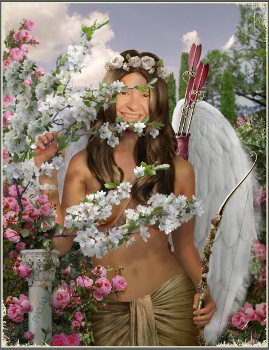 I just had a few things to do on my site. I tested my blood sugar and it was 189! Finally, down below 200, thanks to that medication. Yay! Going to bed by 10:30. We have to get up around 4:30. I woke up around 3 am with a bit of heartburn, acid reflux and nausea. Then I had bathroom issues. UGH. Guess these are common side effects from Victoza. I just stayed up because I couldn't get back to sleep. We were getting up soon anyway. Our flight is at 7am. I had already made sure to take out my clothes for the day and pack our dirty clothes, so I didn't have to do too much to get ready. I was going to take a shower but decided not to. I spent some time online and the time just flew. My stomach stayed upset for a long while. I had bought some popcorn at the hotel the previous evening to take with me. When we went to check out, there was a sign at the front desk that said the clerk had stepped away and would be right back. We waited quite a while, but no one came, so we just left our keys there and left. That was weird! We only saw two other people, a pilot and flight attendant (possibly for our plane), who were waiting for the breakfast place to open. Oh, I tested my blood sugar after I woke up, and it was down to 151....lowest it's been since I started testing again. I tested a little while later, and it went back up to 181! Weird! We drove to the airport; David left me, and the bags, outside while he went to park. I had some of the popcorn, and it helped settle my stomach. A small bag of white cheddar Smart Foods popcorn only has 14 carbs! I only ate half a bag, too. The plane was very small, but it didn't seem too cramped to me. Which is weird because the big jet we got on later seemed really cramped. Probably because I was sitting in the middle, for one reason. However, I just felt that the legroom, and the room in the pocket in front of me, was much smaller than usual. Thankfully, the person next to me was skinny. Normally I take the window or aisle seat, but I let David take it this time. I wasn't planning to sleep, like I sometimes do. I was tired, but not that sleepy. We changed planes in Dallas. Our plane was late, so we just barely made it. We actually did stop to use the restroom and get some drinks, and when we got to our gate, they announced final boarding call and said we had five minutes. So it all worked out. We had screaming babies on both flights! Wow! That's bad luck. The one on the second flight was not as bad. Cute little boy, actually, and I kept making faces at him through the break in the seats. He was cute when he wasn't screaming, but they did a pretty good job of entertaining him. Too bad we didn't have more time in Dallas. It's a big place with lots of great shops and restaurants. We passed this one Mexican place there that I loved last year. Eventually, they passed out drinks and had the small snack packs you could buy. I got the one with fruit and cheese. However, my appetite is really down now, either due to dieting or the medication (or both), so I could only eat about a third of it. That's great, but I hate wasting food. I called my doctor's office when we changed planes, and then the nurse called me back. She said that all of my tests are normal, except for the blood sugar ones, so that's great. I guess it means my kidneys are not failing or anything. What a relief! I just have to make sure to stick to my diet and keep taking the medication. The doctor said to take the medication the same time each day, but I didn't want to take it until after we got to San Diego, in case there were any other problems. The last thing you want is to be having bathroom problems while on an airplane! I just listened to my iPod while on the plane, and read some magazines. The time went by pretty quickly, thank goodness. My knees were having a hard time, though, from the small space. Because of the time zone difference, it was only about 10 am when we got to San Diego. We had a pretty easy time getting our bags and a cab to the hotel. We're staying at the Sofia tonight. It was the cheapest one we could find downtown. We stayed there last year, too, with Barbara, when she came out to visit. It's a nice little hotel. Amazingly, they had a room ready that early. I was tired and went to sleep. David went off and had lunch at The Field, which he likes. It's not my favorite place. It's OK. He got a ticket to the Padres game tonight. I don't like going to more than one or two games. I'll go tomorrow. He doesn't mind going by himself because he can get a better seat, at a better price. I took the second dose of Victoza. It took me a little while to figure out how to use the equipment. The doctor made it look so easy! :) This time, it did hurt a little (not too bad). I wonder why? Later on, after we both woke up, we went to Osetra for a light snack. We love that place. We just sat at the bar. 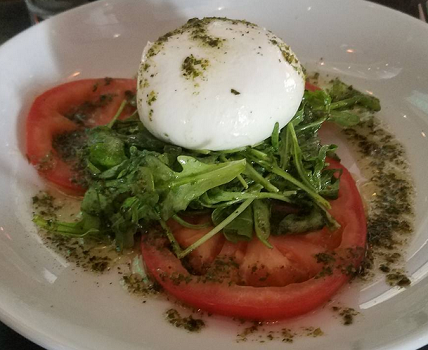 I had a caprese salad and didn't finish it. He had some other appetizer. We stopped at 7-11 so I could get some healthy snacks and a diet soda. I sure miss 7-11! The only times I've ever lived near one were in San Diego and Hawaii! He got ready and went to the game. I did some work for a while on my site and then went back to sleep. I was tired and slept until about 10 pm. I woke up with just a little bit of acid reflux. Much better than yesterday. My blood sugar was down to 156. I was surprised that David was still at the game. It was a slow one, I guess. But at least the Padres did win, 8 to 5. He called me when it was finished, and I met him downstairs. I was kind of hungry. We settled on Bandar, which is nearby. We've been there twice before, and it's delicious. I asked the waiter what he recommended because I couldn't decide. I should have gone with the lamb. 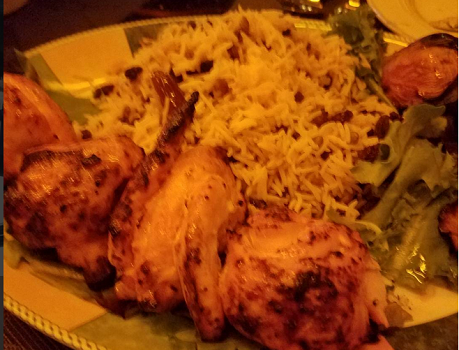 He recommended a chicken dish. It took a really long time, and then when it came, it was very dry and overcooked (and it's not a cheap place). We ate parts of it...I told the waiter it was good , and that it was just a lot more food than I expected. I didn't want to make a fuss. David had an avocado hummus appetizer. The waiter had also brought me some sliced cucumbers. The entire menu is gluten free (aside from 2 appetizers, and the bread). That's great. Next time, stick to the lamb or beef. We stopped again at 7-11. I had a tiny bit of chocolate. I know how that I can have a little bit in my diet, and that's it. David's asleep, and I'm going to work a little bit. Then I'll probably go back to sleep. I'm still very sleepy. Tomorrow we'll check out and then check our bags while we go have lunch, and then we'll go to the game. Later, we'll take a cab to Susan's place in El Cajon. I went to bed last night about 4 and then woke up around 5:30 am. I was sick again. It was better than the previous morning, though. I couldn't get back to sleep because I slept too much yesterday. It was a very long day! We checked out, and checked our bags downstairs. Then we went to looking for a place for breakfast or lunch. First we planned to go to the pancake place (it has other stuff as well, all gluten free), but they had a long line out the door. We kept walking around to look at other places. Some were not open for lunch. One place we went to, looked open, but no one who worked there was around, so we left. Then we found this little bar called The Hopping Pig. It has amazing food and lots of gluten free stuff! 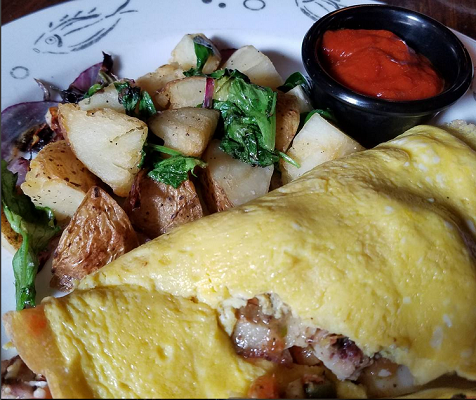 I had a pork belly omelet, and it was fantastic. Very spicy. It came with great veggies and potatoes, but I didn't eat most of those. I was pretty full from the omelet. David said his fish taco was great, too. We'll have to try that place again sometime. Then we had a quick drink at The Field before heading over to the ballpark. There was some big soccer game going on there between Spain and Italy. There were many men watching it and cheering. The Padres lost, but it was a total blow-out, so it wasn't a close, tense game. We had fun, anyway. They have this thing (which we also did last year), where you post your photo on Instagram or Twitter, and tag it #SDinHD, and they put it up on the scoreboard, multiple times. 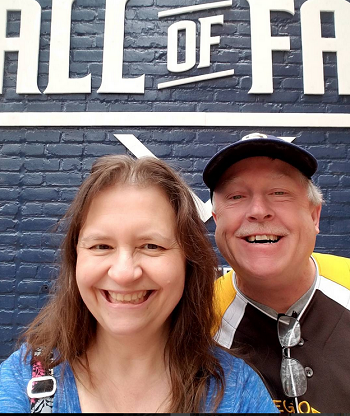 We did a selfie in front of the new Padres Hall of Fame. I only saw us up on the scoreboard once, and I wasn't quick enough to take a photo. I kept waiting for it to come up again, but I didn't see it. 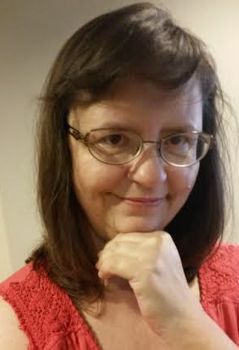 Later, I posted another selfie (just me this time) with my tongue hanging out, and that one they posted - multiple times! LOL! I did get some photos of that one. It helped pass the time, anyway. Although it was a day game, it wasn't too hot out. It was very overcast. I did get a little sunburn on the part in my hair. Near our section, they were selling steak tri-tip nachos and such, which smelled really good, even though we weren't hungry. They also sold those garlic fries that smell way better than they taste. I wandered around the stadium and found the area where they sell quite a bit of gluten-free and other healthy food. I didn't really find much I wanted to eat, but I did get a little bit of frozen yogurt. After the game, we stopped at a pub called Dublin Square. David had some food. A guy there sitting at the bar had this cute little white dog on his lap, so I pet the doggy whenever I went over that way to use the restroom. After that, we took a cab to El Cajon to stay at Susan's. We were both very tired. I had a little bit of food and my pills. We both went to sleep. It was super early. I doubt it was even 7pm at that point. We really conked out. I woke up around midnight and had some food, and I spent some time online. I think I went back to sleep for a while and then was up again. We went to Denny's with Susan for breakfast before she headed off to church. I just had eggs and bacon. The eggs were not cooked enough, so I didn't finish them. 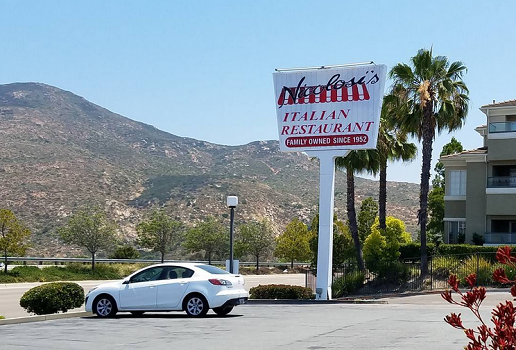 Later on, Susan drove us over to Nicolosi's, where we had lunch with my MIL. They have a lot of great gluten free pasta options, but I just got a chicken dish. It came with spaghetti that I didn't eat. It also had some veggies, but I only ate a few of those, too. It's really weird not having much of an appetite. We stopped at the Albertson's on the way back, so I could get some real food for the house while we were there. California grocery stores are always so wonderful. My SIL Zina came over around 5pm with my brother Stephen. They gave us a ride to the Parkway Plaza mall. Usually we use Susan's extra vehicle, but it wasn't working. It might just need a jump start, but we didn't have jumper cables. John has them but was sleeping. Anyway, we had dinner with Stephen and Zina at Applebee's. Again, I had chicken. We had a nice time chatting with them, and then David left. 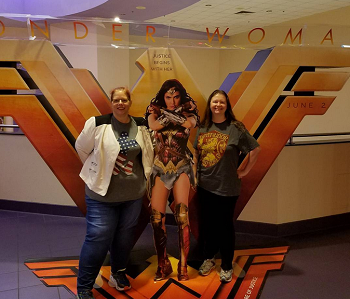 The rest of us went to see "Wonder Woman." We all enjoyed it. I wasn't too keen on the ending, which I felt was too sad. We took a lot of photos at the theater of the various cardboard movie standup displays. I was really craving candy and popcorn, but I resisted. I stayed up late working on my site, until about 4am. There are tons more photos on my Instagram, so check them out!